From time to time, Close-ups and Long Shots will feature interviews with some of my favorite authors. 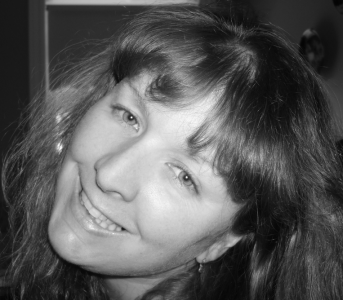 The first interview is with Michelle Vogel, a writer whose work I really appreciate and follow. She selects subjects I would like to write about, those I’m interested in. I thought her books on Olive Borden and Olive Thomas were thorough and well researched. She is passionate about her work, and it shows in her writing and attention to detail. Although I had lots of questions I could have asked her about the two Olives, I wanted to ask Michelle about her recent biography of Lupe Velez. I was most interested in knowing how she selected Velez for a full-length biography. Michael G. Ankerich: It is a big decision when a writer decides to take on a biography of a single individual. Why DID you choose Lupe Velez? Michelle Vogel: First off, thank you for offering to interview me, Michael. We both travel the same author path, writing about likeminded subjects. We’re aware of each other’s work and the research methods needed to get a complete and thoroughly researched book on the market. It’s not easy, as you well know! I’m honored to be your very first interview. In choosing a subject, you have to be sure that the subject either hasn’t been explored at all, hasn’t been explored fairly, or you have a new spin on an old tale…new information, etc…with Lupe, it was the “died with her head in the toilet” myth that upset me. I was driven to find out if the story was true, or if it had been made up to further accentuate an already tragic end. That said, in exploring her death, it was her life that came to the forefront. She may have only lived thirty-six years, but she made the most of every minute! So, for me, her whole story, not just her death, became this complete package, a massive and very messy jigsaw that I enthusiastically researched for three years – full time! MGA: Many writers suffer separation anxiety when they complete a book. 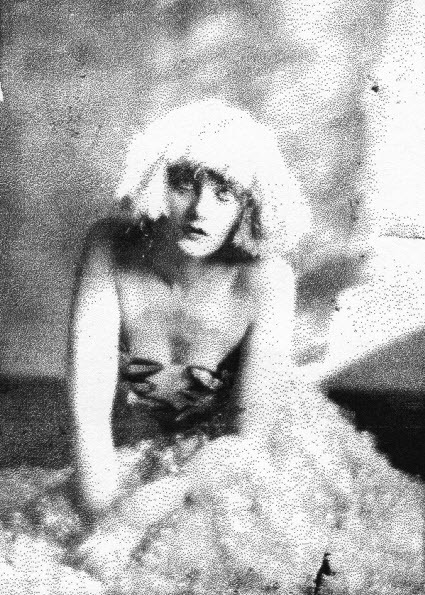 I felt a sad tug at my heart when I completed my Mae Murray biography. Did you feel the same? How did you deal with it? MV: Hmmm…can I say, alcohol?! Seriously, I don’t drink at all, but I’ve had moments where I’ve reflected on writers of times past and I kind of realize why they’ve taken to the bottle. As a crutch or a muse, it doesn’t matter, for some reason, many of the greats were alcoholics. Writing is a very isolating experience. For months, more often – years, you’re immersed in your own little world. Just you, your computer, piles of old newspaper articles and a bunch of dead people that you’re breathing life back into. Sure, the odd interview happens which allows you to share the experience, but as a whole, writing is a lonely profession. When a book is complete, it’s almost like a grieving process after letting it go. You hand all your work over to the publisher, they keep it for nine months or so and then it comes back to you typeset, with photographs inserted. The months between handing it over and getting it back are weird…there most certainly is a separation, a sense of accomplishment, but a hole, too. Not too many people understand that feeling, unless of course, you’re a writer. I’ve finished books and had people immediately say, “So, what/who are you going to write about next?” That’s such an overwhelming question to hear so soon after finishing a project that has taken years to complete. If only it were that easy, huh? MGA: Exactly. After spending a great deal of time and energy with Lupe in researching and writing her biography, how did you come away feeling about her? MV: Honestly, she’s become my favorite subject, Michael. She would have been hard to know because she was so exuberant, feisty, and unpredictable, but she would have been fun! There was never a dull moment with her. If she loved you, you were in for one hell of a ride, but if she hated you – look out! 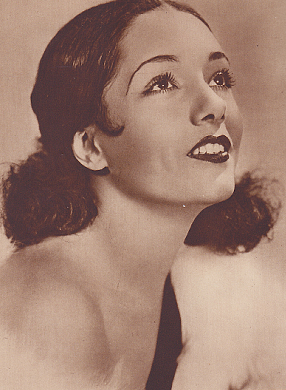 MGA: One of the disturbing myths about Lupe Velez is her death. You spend a lot of time in Lupe Velez: The Life and Career of Hollywood’s Mexican Spitfire setting the record straight. Do you have any idea how author Kenneth Anger (in Hollywood Babylon) came up with the rumor that Lupe drowned in a toilet? MV: Well, according to my Forwardist, Kevin Brownlow, he once asked Kenneth Anger where he came up with his research. His response was, “Mental telepathy, mostly.” That says it all. 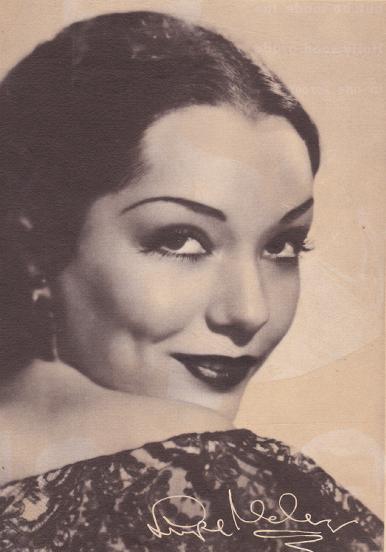 MGA: Do you think this is the greatest misconception about Lupe Velez today? If not, what are other misconceptions we have of her that you were able to address in your book? MV: Absolutely! Her death has been turned into a joke…toilet humor, literally! As I say in my book, the truth is heartbreaking enough, why bring her premature demise to another level and discredit her for all eternity by making up lies?! I have thoroughly researched her death and the weeks leading up to her death, and afterwards, and proven, without a doubt that Lupe Velez died in her bed. I hope that I can change the mindset of those people who have taken the lies as gospel, and make them see that anything can be written, about anyone, but unless you have the evidence to back it up, it’s just a piece of fiction. Another misconception is that she was a loose woman…a good time girl. Sure, she loved to party and have a good time, but she was fiercely loyal to her men. Between her long-term relationship with Gary Cooper and her marriage to Johnny Weissmuller, she was committed to both of these men for almost ten years of her life. She may have been many things, but she was certainly devoted – to her men, her family, her friends, even strangers who asked her for a helping hand. She helped everyone and she supported her extended family in Mexico for much of her life. Lastly, that she only spoke broken English, otherwise known as “Spanglish”. In reality, Lupe spoke English very well, with only a hint of an accent. Her ethnicity was played up for her films, and, for the sake of her “public image” she fell into that characterization, both on and off screen. MGA: One of the most fascinating parts of the book is the chapter that deals with her final days and the anxiety she was under. It seems she truly felt she could not continue with living. Without giving away some of the startling revelations, was there one single person you felt was responsible for her death? MV: Her final days…yeah, they’re gut-wrenching to read, aren’t they? They were exhausting to write. Of course, we know the eventual outcome, but with each turn of the page we hope that something will change and that she’ll live. Many people let her down but if I were to pinpoint one person, I would say it was her sister, Josephine. She had revealed the secret of her pregnancy and pleaded with her to go away with her so that she could have the baby. Then, after a year, Lupe would “adopt” the child. Voila! Her reputation is in tact and she lives out her life with her child, as it should have been. But, Josephine went back to Texas, promising to return, and she never did. That was Lupe’s one option, her only safety net. When that was taken away, death was guaranteed. The thing is, Lupe was always an “I don’t care” girl. If anyone was to have a baby out of wedlock in 1944 and not give a damn about the repercussions, it was Lupe Velez. That’s what makes her suicide even harder to understand. 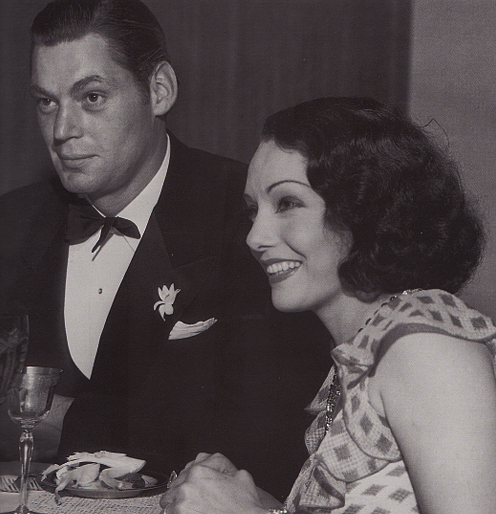 Lupe out on the town with husband Johnny Weissmuller. MGA: I think of Lupe’s turbulent love life, but her only marriage was to Tarzan, Johnny Weissmuller. Even though the marriage lasted five years or so, it wasn’t a very happy union, was it? It was and it wasn’t. Five years married, considering all they went through, equates to a lifetime, really. They were both very different personalities. He was quiet. She wasn’t. If anyone could push his buttons, she could! Eventually, the relationship soured beyond repair and it got violent. Weissmuller would throw things. However, even he said that he learned the valuable vases from the not so valuable ones. He’d carefully choose which ones to throw! They did love each other, they just couldn’t live under the same roof together. By 1944, Johnny Weissmuller had remarried, but they were still friends and he was absolutely devastated to learn that she’d taken her own life. The press had a field day during their marriage. There was always a story to tell, many of them side-splittingly funny. Many of those stories are in the book. Lupe Velez with Gary Cooper in Wolf Song. MGA: Who was the love of Lupe’s life? MV: Gary Cooper. I can answer that one in seconds. Without a doubt, he was the one that got away. It’s hard to believe, but their relationship was even more tumultuous than her marriage to Johnny Weissmuller. Lupe shot at him in a crowded train station, she stabbed him, she publicly embarrassed him with her carefree ways, and on the flip side, he was totally controlled by his domineering mother, the film studio and…Anderson Lawler. It was a very crowded, mixed-up relationship. Had they married, it would have surely ended in divorce, but the “might have been” ideal of a harmonious marriage with Gary Cooper ate away at Lupe, and, her final days and the decision to end her life and that of her unborn child may well have had a lot to do with him, too. MGA: You had the great fortune of interviewing Lupe’s second cousin. Can you tell me about the extent of his input? Given the nasty rumors that have floated around about Lupe’s death and personal life over the years, was he reluctant at first to cooperate with your project? MV: Oh, Pedro is like family to me. We’ve become very close and still e-mail each other weekly to check in and talk about our families, etc. Lupe brought us together and our relationship is tied with a very secure knot because of our mutual connection with her. Pedro was never reluctant. He trusted me completely and he was thrilled to finally have an outlet to tell the truth. He was so forthcoming and so generous, kindly re-telling family stories that have never been in print, until now, and he’s also gifted me with some beautiful family photos, many of which are reproduced in the book. The book would be nothing without his input. He made my job easy. MGA: I love the quote by Lupe at the opening of the book: “My life story? It is the story of a devil. And who wants to print the story of a devil? I am wild, I cannot help it.” Wow! Did she really think of herself as a devil? Was she really as wild as her reputation suggests? MV: Yeah, I think she did, but not a “devil” in the evil sense of the word. She meant that she was uncontrollable. She broke every rule and pretty much got away with doing it. Not just as an adult, but as a kid, too. Her parents couldn’t control her, the nuns at the convent she attended as a young teenager couldn’t control her. She lived by her own rules and refused to give in to what society felt was “acceptable behavior”. Again, this part of her personality makes her suicide even sadder because she honestly didn’t care what people thought of her. If it made her happy, she did it. Also, I think her wild ways were very much misinterpreted; she was most likely bi-polar. Her mood swings were extreme but she was labeled as a “wild Mexican”. A possible imbalance wasn’t even looked at back then. Certainly, if she was bi-polar, the hormones of pregnancy would have exasperated her condition, too, possibly tipping her over the edge during a dark episode. MGA: Was there one particular thought you had in mind as you wrote Lupe’s life story. One theme? One constant that ran through her life? One idea you wanted to get across? MV: The fact that this woman has been so horribly misrepresented all these years was the reason I started writing the book in the first place, then, as I got into researching her life further, I felt honored to be able to tell the truth – for her. She was a great actress, a fine comedian and a fine dramatic actress. Very underrated. She did stage work, radio and film, not just in the United States, but Mexico and the U.K., too. Had she lived longer, she would have been a huge television star. I wanted to tell the story of her life, the good and the bad, but most importantly – the truth. MGA: I am truly astonished at the photographs you were able to use in the book. Most I had never seen before. You even had copies of her suicide notes, which, I don’t believe, I had ever seen. Did some of the photographs come from Lupe’s family? MV: Thank you, Michael. You know, I had 150 photos chosen, but I had so much information to include, I went 30,000 words over my projected word count (Oops!) and that caused a photo cut down to 75! That was a hard job. As I said, many of the early family photos came from Lupe’s cousin, Pedro. The others were sourced from all over the place. I tried my best to feature photos that were rare and somewhat candid, because she lived her life so candidly, it just seemed like the right fit. MGA: Another impressive aspect of your book is the extensive filmography you provide. Everything from the cast list to the reviews the film received. You also provide many behind-the-scenes glances for many of her films. What about her films? Do you have any idea how many are easily available for viewing? MV: Many of her films are available, Michael. Not all of them commercially (yet! ), but from one collector to another, they DO exist. Personally, I have all of her films, save for two of her Mexican productions. That’s a fantastic ratio. Some of them aren’t in the best condition, but they’re certainly watchable. Obviously, “The Mexican Spitfire” film series is her most widely known body of work and I urge anyone wanting to see Lupe Velez in her prime to seek out these films. All of them are family friendly and kids love the visual gags throughout. Here’s a link to the Warner Archive store where a few of Lupe’s films are available for purchase, including the eight-film “Mexican Spitfire” series for a very reasonable $39.95. 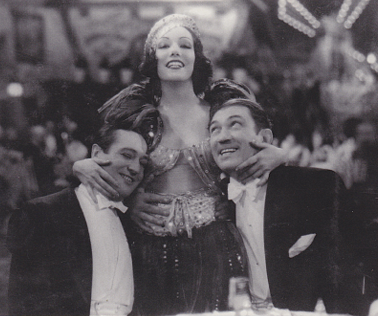 Lupe clowning around with Edmund Lowe and Victor McLaglen in Hot Pepper (1933). MGA: Do you have a favorite Velez film? Why? MV: That’s a tough question, Michael. I love her as a comedian, but I also love her as a dramatic actress, too. The “Mexican Spitfire” series are favorites, for obvious reasons. The chemistry between Lupe and Leon Errol is priceless and much of the dialogue is ad-libbed which serves to give the films a fresh, non-stilted approach to the comedic incidents throughout. I have a soft spot for her final film, the Mexican production, Nana. Her acting is faultless and the final scenes show her character walking the streets, a broken woman, in tears and lost. It’s very difficult to watch these last few moments of her film career play out because it eerily mirrors the feelings she would have had in real life, just prior to her death. MGA: If you have the chance to interview her, what would be your one important question for her? MV: Well, that would be to ask if she was ever truly happy and satisfied, and if so, at what time of her life was that feeling? With herself, her career, her romances, her life in general? Was she ever content? I think her answer would have been “no”. Sadly, her true happiness was probably set to come in the form of her role as a mother, and it wasn’t to be. MGA: After spending time with her, do you think Lupe would be a fun party guest? MV: Fun? That’s an understatement! Geez, she’d give Charlie Sheen a run for his money! It goes back to that tricky ol’ question asking what dead people you’d invite to a dinner party…well, for sure, Lupe Velez would be at the very top of my list. I really wish I could have known her. MGA: I hear that you’re offering a FREE signed bookplate to anyone who purchases your new book? How does that work? MV: Yeah, that’s right. As a special thank you, anyone who purchases a copy of my latest book, Lupe Velez: The Life and Career of Hollywood’s Mexican Spitfire and sends me an e-mail copy of their proof of purchase, I’ll sign one of my personally printed bookplates and send it out anywhere in the world – FREE! 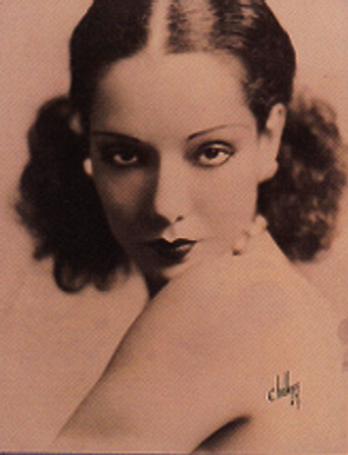 MGA: There are rumblings about a Lupe Velez biopic being in the works, with Mexican actress, Ana de la Reguera to star as Lupe Velez. Are you aware of this project? MV: Yes, I’m aware of the project, Michael. Ana and I have been in e-mail contact over the last few weeks and we’re hoping to collaborate. Oscar-nominated director, Carlos Carerra, will be writing the script and directing the film. I can’t say anything further than that at this stage, but I will let you know more when I know more. One thing’s for sure, Lupe is finally getting the positive recognition that she deserves! MGA: It is about time. Great job, Michelle! I enjoyed chatting with you. Check out some other biographies by Michelle Vogel. Don’t miss this new book by Michelle Vogel. It is now available for purchase! 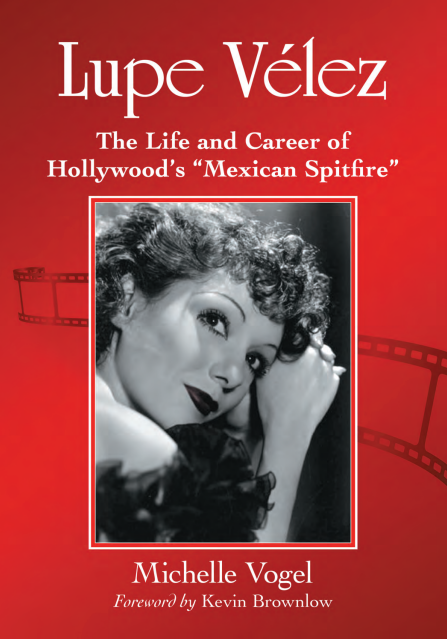 I’m thrilled to announce that my latest book, Lupe Vélez: The Life and Career of Hollywood’s “Mexican Spitfire”is now available for immediate shipment if ordered directly from my publisher. The official publication date was July 11, 2012! I’m yet to receive my copies, but if anyone else receives their order before me, I’d really love to hear your thoughts and opinions. It was the question mark ( ? ) that got my attention. 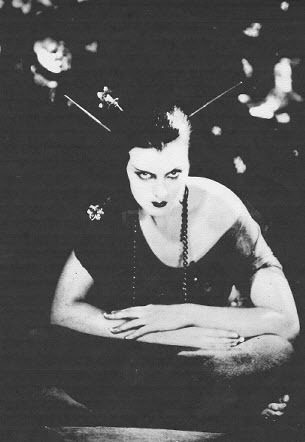 Over the years, when I researched the lives of silent film players, I would come across the name Eve Southern. Her entry, whether in film encyclopedias or on Internet blogs, would give a date of birth. There was always a question mark for the date of death. No one seemed to know whatever became of Eve Southern. I keep this photo of Eve Southern on my desk for inspiration. I like question marks. I am challenged by mysteries. In 2009, I needed a challenge. 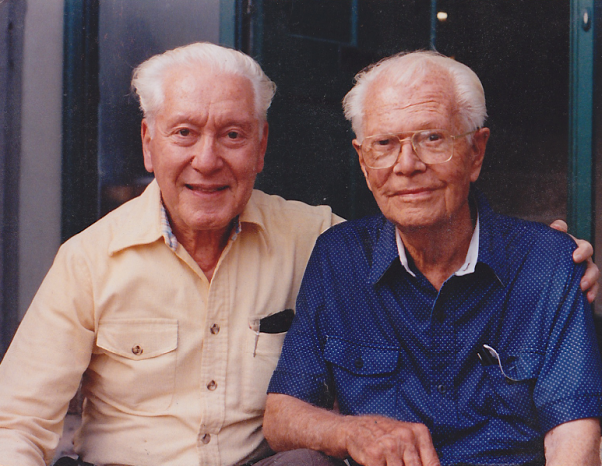 My main thrust had always been documenting the memories of the remaining silent film actors. Barbara Kent was my last interview. By the late 1990s, the players of the silent screen were fast going the way of the dinosaur. It was about that time that I embarked on a spiritual journey in an effort to figure out God and determine how I fit into life on this big rock called Earth. It was a circuitous route that took me around the world for some 10 years. Read about those years in my spiritual memoir, Drag Queens at the County Line and Other Spiritual Adventures. 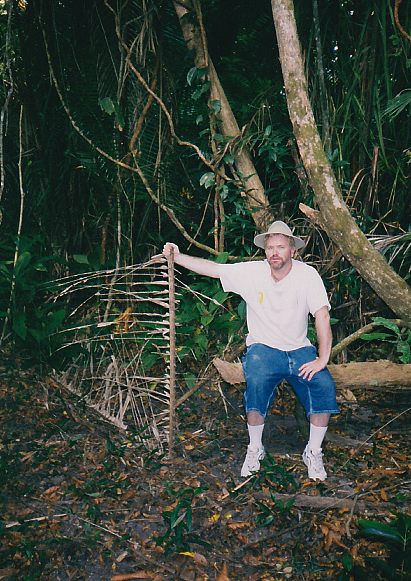 On a spiritual adventure in Honduras. I’m just not sure when I will get around to writing it, because I still haven’t figured it all out. Isn’t that the whole point of a journey? Maybe there’s no end to it! It’s the question marks that nag at me. Eve Southern was one big question mark. The enormous eyes of Eve Southern. What became of this odd-looking creature of the silent screen? 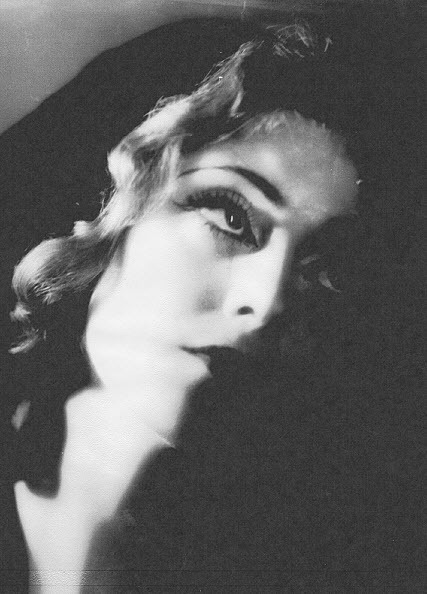 With her enormous eyes and long lashes, Eve looked almost supernatural. With her belief in reincarnation and spiritualism–she once claimed Mary Queen of Scots as a past life, how could this woman have vanished into history? As an actress, she is little more than a footnote in history, but I love reading footnotes. It is there that you sometimes find the most interesting ingredients of a story. 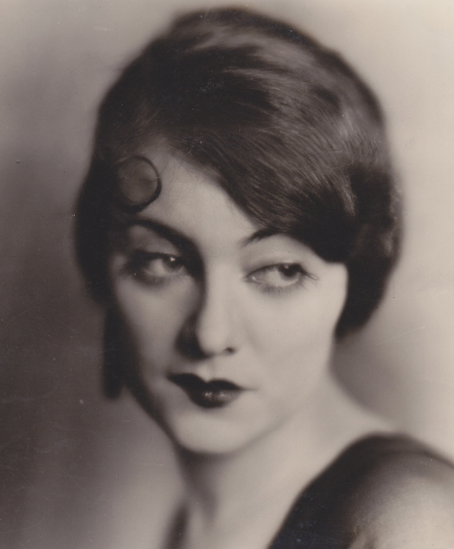 Eve appeared in almost 30 films from 1916 through the mid-1930s. It seemed she was on the cusp of something big happening in her career, then it would be taken from her. D.W. Griffith discovered her for the movies, but after he retired temporarily, she was set adrift. Another time, it was a director who had big plans for her. But, he left the studio. Charlie Chaplin gave her a plum role in A Woman of the Sea, but the film was never finished or released. She got her chance to shine as the Miracle Girl in The Gaucho (1928) with Douglas Fairbanks and Lupe Velez. 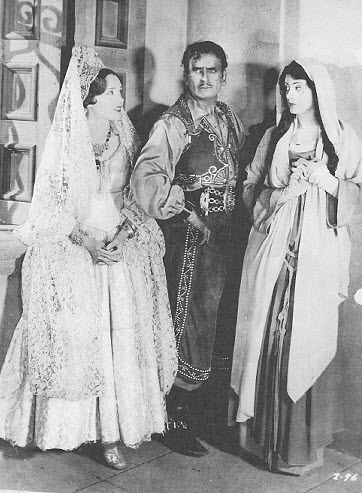 Lupe Velez, Douglas Fairbanks, and Eve Southern in The Gaucho (1928). She received the best reviews of her career. For several years, she played leads opposite such actors as Malcolm McGregor and Walter Pidgeon. Eve Southern and Malcolm McGregor in Stormy Waters (1928). 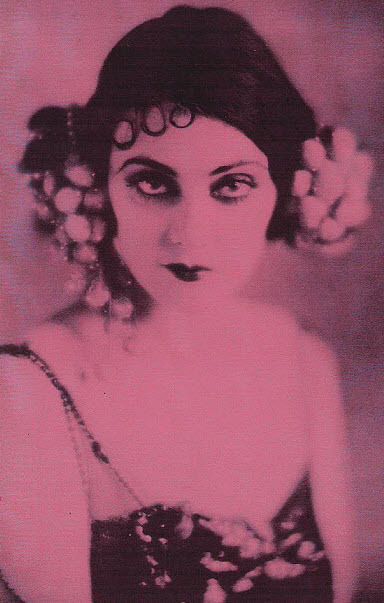 Then, a series of accidents from 1929 to the early 1930s finished her career and almost took her life. From there, the trail of Eve Southern grew cold. She disappeared. Beginning in 2008, that haunting question mark in her biography sent me searching through newspapers and archives. I would reach a dead end, become discouraged, and close her file. The question of her whereabouts would nudge me and I’d start afresh. 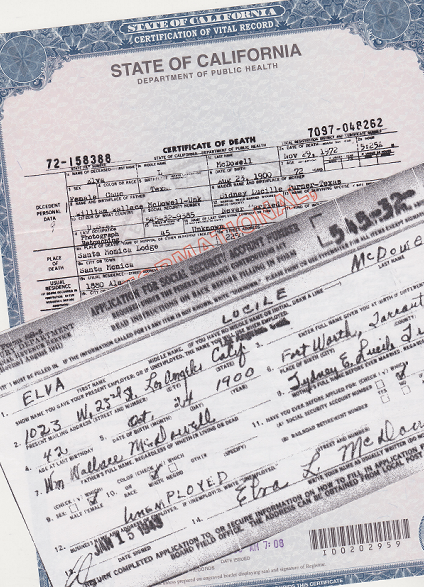 Wally McDowell filled in the gaps about his Aunt Elva. After her career ended in the early 1930s, she disappeared behind the camera and worked as a retoucher in the photography department of a movie studio. She continued to live with her parents in Hollywood for the rest of their lives. Wally often asked his aunt, still a beautiful woman, why she didn’t return to the movies. Her automobile and toboggan accidents had left her with nagging pain that prohibited her from standing long periods of time. Wally’s father (Eve’s brother) kept a close eye on Elva over the years and made sure she had everything she needed. She lost her battle to Parkinson’s Disease in 1972. She was buried in Valhalla Cemetery in Burbank. 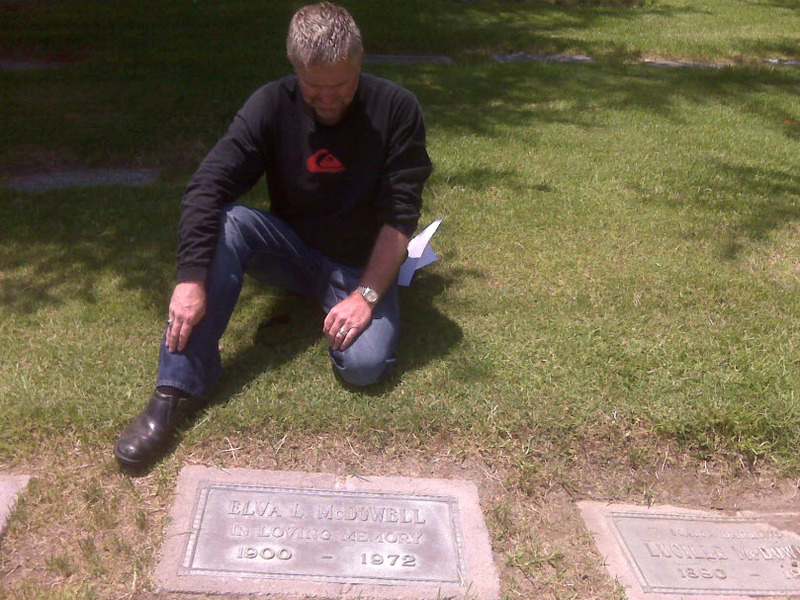 At Eve Southern’s final resting spot at Valhalla Cemetery. She is buried beside her mother, Lucille. Through my long search for the whereabouts of Eve Southern, I felt a strange, rather spiritual, connection to her. 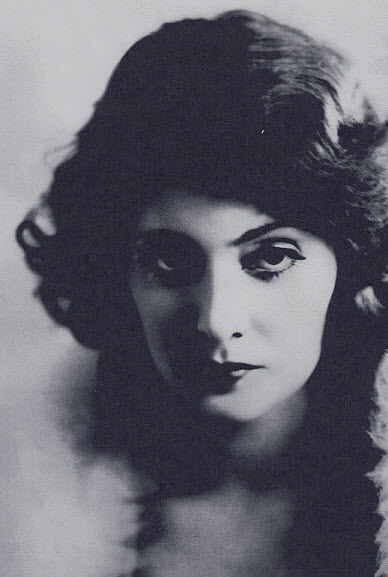 Feeling the need to tell her story, I began researching the lives of other silent film actresses who had perilous journeys through Hollywood. The idea for a new book was born. The book, Dangerous Curves atop Hollywood Heels: The Lives, Careers, and Misfortunes of 16 Hard-luck Girls of the Silent Screen, was released in 2010 and was named one of the top 10 silent film books that year.